Trip Machine Laboratories - ESHAS - s/t 7"
Initially Eshas was to be a one time collaboration between old friends Robert Fish and Aaron Edge with a song recorded between bedrooms in Seattle and Portland. After creating music in some very memorable bands over the last two decades -- 108, Himsa, The Judas Factor, Ressurection and Iamthethorn, amongst others -- it only made sense that one day the two friends would create something together. 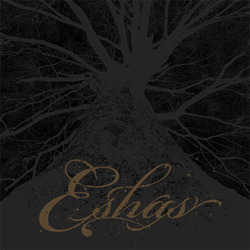 However, one song in and Eshas, the band, was born. Eshas is music outpoured so haphazardly, so unrefined, that it cannot be mistaken for anything but the guttural cry of those who demand more from their music than catchy hooks and rehashed tragicomic metal. 7" includes digital download.